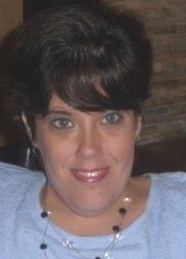 Jocelyn Davidson, 40, of North Caldwell, passed away on Friday, April 12, 2019. Relatives and friends are invited to attend a funeral mass on Wednesday, April 17 at Notre Dame Church, 359 Central Avenue, Caldwell at 10:00 a.m. The cremation will be held privately. Jocelyn was born in Livingston, NJ and resided in North Caldwell for the past 20 years. She attended Norman Bleshman School in Paramus, and was a graduate of Emerson High School. Jocelyn enjoyed participating in the Spring wheelchair marathons at Brookdale Park. She brought joy to others as a member of the Spring and Summer musicals at the Cerebral Palsy Center in Belleville. She was an avid volunteer and a great jewelry maker. Jocelyn loved spending time with family and friends. She also enjoyed spending her summers in Wildwood, New Jersey. Jocelyn is survived by her beloved mother and father, Debra Spinelli and Dr. Carl Spinelli, her father, Thomas Davidson, her sisters, Allison and Rachel Spinelli, and many loving aunts, uncles, and cousins. In lieu of flowers, donations may be made in her memory to 1st Cerebral Palsy of New Jersey, 7 Sanford Avenue, Belleville, NJ 07109.